Are you experiencing chronic bad breath and a weird white tongue? Then a tongue scraper may be the answer to your ailments. Learn how this cleaning device can cure your dental concerns. One of the fastest and simplest ways to treat both bad breath and a white tongue is with a practice called tongue scraping. The process requires a tongue scraper, which can be found in many different styles and colors in most drugstores. To use this dental device, you simply place the tongue scraper at the back of your tongue and gently pull it forward over the tongue. Repeat until you’ve covered the entire tongue. 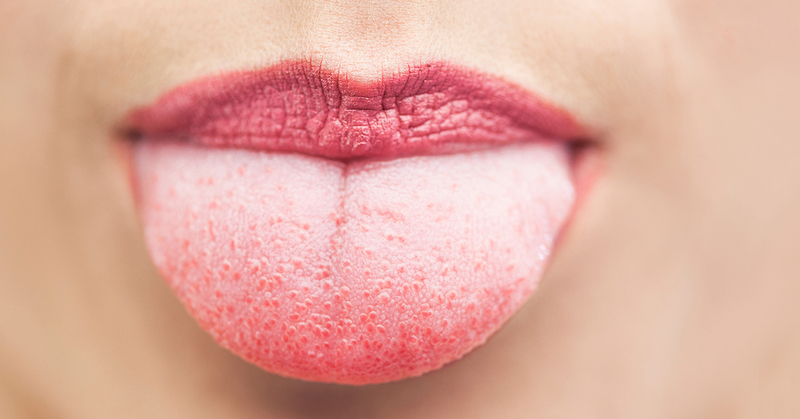 A coated, white tongue is the result of excessive bacteria in the mouth that’s collected on the tongue. It can be caused by numerous conditions, such as poor dental hygiene, medication use, dry mouth, and smoking. But tongue scraping is a fast and easy way to remove this bacteria buildup and resolve the problem. Improper dental hygiene, dry mouth, dehydration, smoking, medication use, and even an underlying medical condition can all be blamed for bad breath. No matter the cause, the cure for most types of bad breath may be tongue scraping. Research has shown it to be an effective temporary remedy for all but the most chronic cases. Brushing your teeth and tongue after meals to remove the debris that can contribute to these problems. Flossing your teeth at least once a day. Drinking enough water to prevent dry mouth, which is a common cause of bad breath. Having regular dental cleanings and check-ups to keep your entire mouth healthy. If your white tongue and bad breath persist, see your dentist, who will be able to determine the cause and develop a treatment program. Kind, personable and professional team “Corono”. You should be very proud!